Start an amazing adventure that will blow your mind. 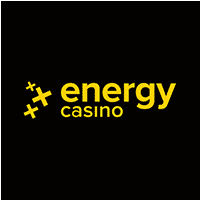 Energy Casino is ready to give you loads of special offers. Make a first deposit of at least £10 and receive 100% up to £200 to play your favourite games. You'll need to wager the amount 30 time prior to being able to withdraw your funds. Join today and win massive prizes, there's no time like the present!